In the 25+ years that we’ve provided state of the art security needs, we’ve heard our fair share of incorrect information. The great thing about the internet is that anyone can Google anything and be fed instant results. But is the information online accurate and up-to-date? In many cases, it is not. 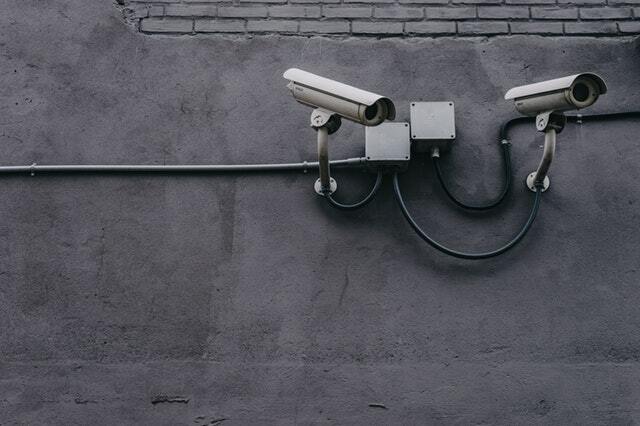 When it comes to security cameras, there’s a lot of inaccurate information out there. So we’ve decided to tackle 5 of the most common myths we hear all the time about security cameras. Like so many things in life, you really get what you pay for when it comes to security cameras. As a general rule, the higher quality the camera, the less number of cameras you’re going to need to install. In other words, you’ll achieve the same results with 10 to 12 motobix cameras, as you would with 16 analogue cameras. So in many cases, installing motobix cameras is far more cost-effective. Especially when you factor in that most cameras have moving parts and eventually, these moving parts will wear out over time. Motobix cameras do not have any moving parts at all. This is one myth that is really misunderstood by so many people. Often, we see people exaggerate the footage that a security camera’s field can obtain. It’s important to understand that cameras don’t have peripheral vision and that they’ll obtain a limited amount of footage depending on a number of factors at play at any given time. Wireless cameras have their purposes and uses but contrary to popular belief, they are not actually completely wireless (they do need power!). More importantly, the footage they’re capable of capturing is of low quality so in many cases, they’re not good enough to do what’s required. This one really disappoints a lot of people who are used to watching their favourite movies and TV shows: zoom lens cameras do not record whole images when zoomed in. Imagine you’re watching a football game through a camera lens – no camera can capture the entire field if it’s zoomed into a specific area on the ground such as the forward pocket or even the middle of the ground. Remember, most cameras will also pixelate when they’re fully zoomed in although, mega pixel cameras do pixelate less than other camera types. Fact: all cameras need light for colour. There’s no way around it although, most quality security cameras will automatically switch to a black and white setting at night. There’s plenty of information out there about cameras and your security needs. Keep in mind that every home and business owner’s individual needs are different. Our team at National Electronic Security work with you to determine the best solution that arms you with peace of mind. It’s important to take a holistic approach to security – this means that an alarm or security camera alone, won’t provide you, your loved ones and/or your business with the best possible security solution. Contact us today to discuss your unique security needs.